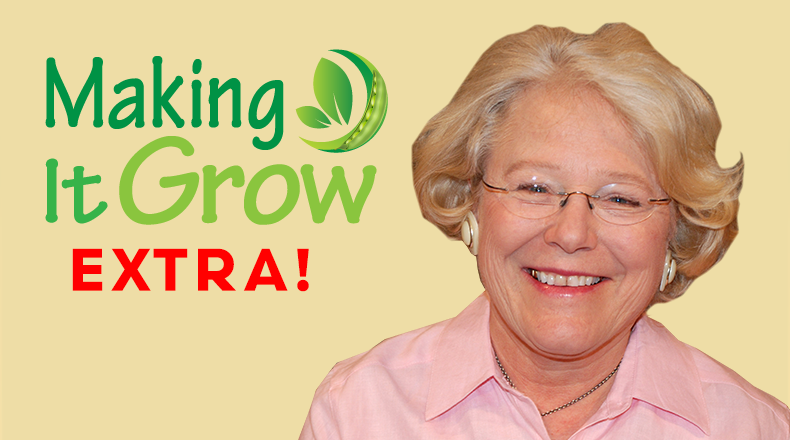 Amanda McNulty is a Clemson University Extension Horticulture agent and the host of South Carolina ETV’s Making It Grow! gardening program. 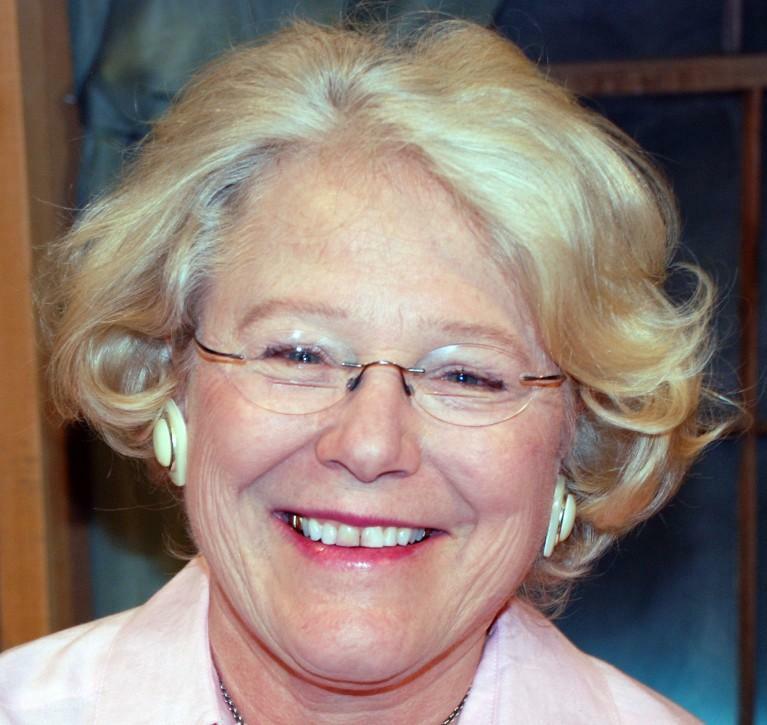 She studied horticulture at Clemson University as a non-traditional student. “I’m so fortunate that my early attempts at getting a degree got side tracked as I’m a lot better at getting dirty in the garden than practicing diplomacy!” McNulty also studied at South Carolina State University and earned a graduate degree in teaching there. Host of “Making It Grow” and Clemson Extension Agent Amanda McNulty and fellow agent Tony Melton discuss nematodes and the best ways to control them. Host of “Making It Grow” and Clemson Extension Agent Amanda McNulty and fellow agent Tony Melton discuss the best practices for insect control in your Fall vegetable garden. 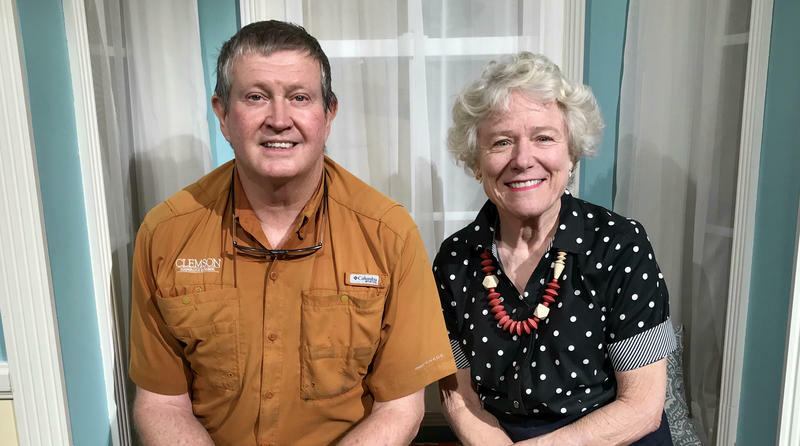 Host of “Making It Grow” and Clemson Extension Agent Amanda McNulty and fellow agent Tony Melton discuss tips for planting your Fall vegetable garden. Hello Gardeners, I’m Amanda McNulty with Clemson Extension and Making It Grow. Blueberries, figs, and muscadines are plants good for backyard orchard s– you don’t have to do much as far as insect or disease control goes. Elderberry is another plant you might add to your backyard if you have some room. In other parts of the country, there are lots of both commercial and home orchards of elderberry but for some reason we haven’t used them much in the south. But Dr.
Hello Gardeners, I’m Amanda McNulty with Clemson Extension and Making It Grow. In the New World, the first kaolin clay mined for shipment back to England to be used in fine china came from the colony of South Carolina, and today we are second only to Georgia for kaolin extraction. We spoke about how kaolin clay sprayed on vegetables and fruits helps prevent insect feeding, but it also can prevent sunburn. Just like zinc oxide protects my nose from the sun, a coating of this white clay film protects tomato fruits from sunscald and tissue necrosis. Hello Gardeners, I’m Amanda McNulty with Clemson Extension and Making It Grow. Lots of calls are coming to Extension offices about vegetable plants that have lush and plentiful foliage but are not setting fruits, especially beans and tomatoes. There are several factors at play. One is high night time temperatures. Tony Melton explains that plants cool themselves by a process called transpiration – basically sweating. Hello Gardeners, I’m Amanda McNulty with Clemson Extension and Making It Grow. Kaolin clay is a nuisance in garden soil; unlike red clay, it’s basically inert, low in electrical charges that hold nutrients and water, and is even more gluey and sticky if you can image that. However, it has a several uses for commercial growers and home gardeners. When kaolin clay is sprayed on plants, it forms a barrier, coating the leaves and fruits with a white film which protects them from damage by certain insects, including thrips and other leaf and fruit eating pests. Hello Gardeners, I’m Amanda McNulty with Clemson Extension and Making It Grow. My new sunscreen has zinc oxide in it; it actually forms a physical barrier to protect my skin from sunburn. Believe it or not, sunburn is a serious issue for many fruits and vegetables, too. Sunburn necrosis occurs when vegetable’s skin or peel which receives direct sunlight reaches a certain temperature and the tissue is killed. It’s the temperature of the fruit’s skin – not the air temperature – that’s critical. Hello Gardeners, I’m Amanda McNulty with Clemson Extension and Making It Grow. I spoke with a young mother last week whose husband works for the US Forestry Department. He’s been sent out west to help fight the dangerous and extensive fires that are burning thousands of acres in that part of the country. In addition to the dangers that automatically come to mind, fire fighters are at risk for getting skin irritations from encountering poison ivy. More seriously, they may inhale smoke from burned plants which contains the urushiol compound which causes reactions in most people. Hello Gardeners, I’m Amanda McNulty with Clemson Extension and Making It Grow. Many people have trouble telling poison ivy and Virginia creeper apart., Both are native vines in the cashew family, both are deciduous, have compound leaves and produce berries that are an important food for birds in the winter. Poison ivy, however, has three leaflets per leaf, leaves of three –- leave it be -- while Virginia creeper has five leaflets and is actually quite pretty and planted frequently for beauty and erosion control. Hello Gardeners, I’m Amanda McNulty with Clemson Extension and Making It Grow. Recently I noticed a red spot on my wrist which I attributed to an insect bite. Sadly, that was a misdiagnosis – turns out that in my summer mission to get unwanted vines and such out of established beds, I mistook a poison ivy vine for Virginia creeper and ended up with a bad outbreak on my arms. Both these native vines have hairy stems when mature and climbing on trees. Hello Gardeners, I’m Amanda McNulty with Clemson Extension and Making It Grow. My two- and-a half acre yard is getting to be more than I can handle. When we moved here, thirty-three years ago, most of it was an old field, with just two large beds of camellias and an island of pines. We hired someone to bush hog it several times each summer and had just a small area to cut with a push mower. With youthful enthusiasm, I changed that by planting beds of assorted shrubs and trees, large and small. Hello Gardeners, I’m Amanda McNulty with Clemson Extension and Making It Grow. With my sixty-eighth birthday coming up, combined with a need for stronger reading glasses and various aches and pains, I’ve been feeling a little long in the tooth. But after a case of poison ivy sent me to educational websites, I’m readjusting. Hello Gardeners, I’m Amanda McNulty with Clemson Extension and Making It Grow. Mulching trees is the best thing you can after you’ve planted them properly; some research shows it can double the rate of growth for newly established trees. A good tip when mulching trees is to think of doughnuts – there’s a hole in the middle. Mulch should start from four to six inches away from the tree’s trunk, if it touches the trunk it promotes disease and decay. Hello Gardeners, I’m Amanda McNulty with Clemson Extension and Making It Grow. Properly planting a tree involves knowing basic steps that end with putting down mulch. Mulch actually protects a tree from competition from turfgrass. Grass has a thick, shallow root system that can out compete the tree’s roots for nutrients and water. But that’s not the only harmful effect when grass grows over the tree’s root zone. Grass needs to be cut, and many trees are wounded when the lawnmower hits the trunk and skins off the bark. Those wounds are an entry port for diseases and insects. Hello Gardeners, I’m Amanda McNulty with Clemson Extension and Making It Grow. Moles start with the letter m – m for meat. Voles starts with v and they are vegetarians. Although human vegetarians munch on nothing harder than a raw carrot, voles happily eat the bark off trees. These rodents are active day or night, using underground burrows or heavy vegetation for protection. When trees have mulch piled up around their trunks, volcano mulching, the voles have a safe environment in which to munch away -they girdle the tree by their feeding. Hello Gardeners, I’m Amanda McNulty with Clemson Extension and Making It Grow. The Kilauea Volcano is causing instantly discernable damage as it erupts in Hawaii. Whole neighborhoods have been lost to its larva flows and the vog or volcanic smog from its emissions threatens air quality. Although we don’t have volcanos to worry about in South Carolina, our urban trees, which contribute to healthier air quality for us by reducing carbon dioxide and emitting oxygen, are threatened by volcano mulching. Hello Gardeners, I’m Amanda McNulty with Clemson Extension and Making It Grow. As you drive around your city of town, keep an eye out for how trees in commercial settings are mulched. There’re many places where companies obviously pay landscape maintenance crews a lot of money to keep things tidy and neat. Sadly, some of the no doubt well-meaning workers don’t have a good knowledge of basic horticulture, especially when it comes to mulching trees as volcano mulching is a craze. Hello Gardeners, I'm Amanda McNulty with Clemson Extension and Making It Grow. Beautyberry can seed down like crazy and be somewhat weedy, but people who like to do arrangements always are grateful to have it when the stems are covered with purple-pink clusters of fruits. If you grow it or have access to some naturalized plants, I suggest you prune it in early spring each year. Callicarpa blooms on new wood and if you cut it low to the ground, it will send out longer shoots, better for arranging, in response to that pruning. Hello Gardeners, I'm Amanda McNulty with Clemson Extension and Making It Grow. For many years Ruthie Lacey and I decorated for parties. I was charged with bringing stuff you couldn't order, things gathered from the wild that added more variety and interest to arrangements that also contained typical florist flowers. So sticks, grass seed heads, wooly mullein stalks and such were my contributions. In the fall, our &quot;most favorite&quot; a category that changed with the seasons, plant material was stems of beautyberry, Callicarpa americana. Hello Gardeners, I'm Amanda McNulty with Clemson Extension and Making It Grow. The USDA NRCS Plant Guide is one of my favorite places to find out neat stuff about native plants. Their page on beautyberry, Callicarpa americana, tells us that this plant is adapted to dry or moist open woods in areas with hot, humid summers and moderate winters. No wonder it was especially prevalent in the zoo portion at Brookgreen Gardens when we visited recently. The small clusters of flowers give no indication of the fabulous clusters of shiny purple-pink flowers that will follows. Hello Gardeners, I'm Amanda McNulty with Clemson Extension and Making It Grow. We spent a few days near the coast recently and visited Brookgreen Gardens, where the plants are as interesting as the sculptures. You can use your pass for several days which was perfect - w e got there relatively early one morning and spent a few hours looking at sculpture leaving when the temperature got too high. The next day, we returned to see the native animals housed in the zoo. As most of those exhibits are in a wooded understory situation, we were spared the blazing rays of the sun. Hello Gardeners, I’m Amanda McNulty with Clemson Extension and Making It Grow. In the history plant pharmaceuticals, elderberry was an essential medicine across Europe, including Russia and the Scandinavian countries, and among the Native Americans of North America. The traditional uses included numerous respiratory ailments, especially congestion and allergies, digestive problems – especially if a laxative was needed, and to for headaches, fever reduction, and a host of other ailments. Hello Gardeners, I’m Amanda McNulty with Clemson Extension and Making It Grow. A Clemson botany professor, the late Dr. John Fairey made learning about the local flora fun with his unusual and often fascinating comments about plants. We learned that the stems of elderberry, in glorious bloom now, are “weakly lignified.” The outer portion of the stem is truly woody while the interior is filled with pith. Dr. Fairey told us that in the days before synthetic packing material, elderberry pith was used to pack delicate scientific instruments. Hello Gardeners, I’m Amanda McNulty with Clemson Extension and Making It Grow. If you’ve been out driving recently, you should have noticed one of our showiest wild flowers in bloom. Elderberry has a coarse texture due to its large, pinnately compound leaves held on stems eight to twelve feet tall. It’s the flowers and fruits that are so eye-catching though. The flowers, although individually small, are borne in flat, broad clusters and with their white color contrasting with the green leaves, are very noticeable. Hello Gardeners, I’m Amanda McNulty with Clemson Extension and Making It Grow. Elderberries are decorating South Carolina roadways and river banks right now. These clumps of bright green foliage, often eight to twelve feet tall, are topped with large, flat clusters of white flowers. You see them most often in relatively open areas where there is organically rich soil associated water – along ditches or bordering streams and rivers. Interesting, those large clusters of flowers, botanically categorized as corymbs, are not particularly attractive to pollinators. Hello Gardeners, I'm Amanda McNulty with Clemson Extension and Making It Grow. Some yuccas deservedly have the name Spanish Bayonet or dagger because of the sharp points at the ends of their leaves. But we have two native yuccas that are much less threatening and still have beautiful blossoms. Both Yucca filamentosa and Yucca flaccida are smaller and have somewhat softer foliage than their big relatives, and flowering stalks that top out at five feet. The leaves have threads, filaments, along the leaf margins, like fabric unraveling. Hello Gardeners, I'm Amanda McNulty with Clemson Extension and Making It Grow. Some hummingbird moths, so named because of their size, visit yucca flowers at night to enjoy their nectar. But the important pollinators are yucca moths. Relatively small white insects, the female moth enters yucca flowers and uses special mouthparts called tentacles to collect pollen, which she rolls into a ball to transport. She lays her eggs in the ovary of a yucca flower, and then places some of the fresh pollen onto the female stigma.